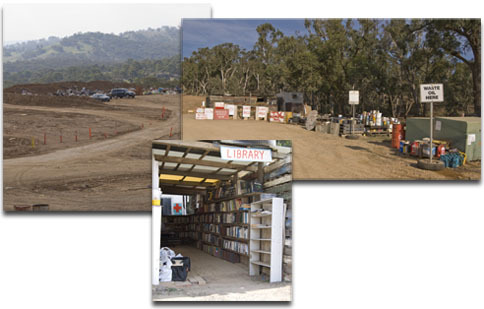 Within the local area, Palerang Council maintains Waste Transfer Stations at Bungendore, on the Tarago Road, and in Bywong, on Macs Reef Road. The Bywong facility is only for household waste and smaller recyclable items. Loads over 2 tonnes, large items, dead animals, and for the time being green waste, must be taken to the Bungendore facility. Please note that Council's facilities do not under any circumstances take asbestos or any hazardous chemicals. Council does, however, conduct an annual Household Chemicals Cleanout day where chemicals can be deposited at the council depot in Bungendore. 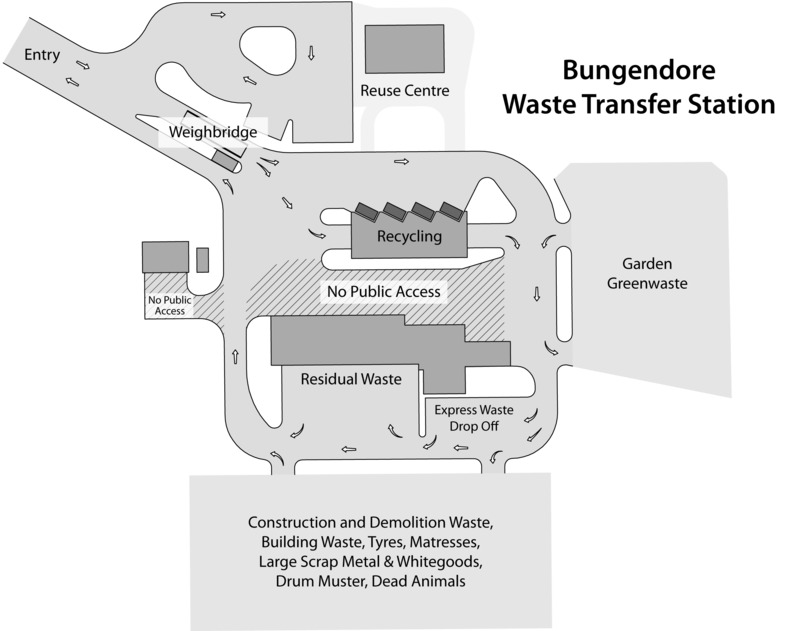 Gate fees apply at both facilities for general waste (recyclables and reusable items can be deposited without charge). Council's opening times for the Bungendore and Mac Reef Road facilities are set out below. Please note that both facilities are closed from Tuesday through Thursday, and also on Good Friday and Christmas Day. For further details, refer to the Queanbeyan-Palerang Regional Council website.